Great staff, very helpfully and welcoming. Nothing was too much much to ask. Close to beautiful beaches and Zakynthos town, but away from noise. Very clean sound proof rooms. Perfect if you have own transportation on the island. I cannot give less than a 10 rating for the staff as they were the most helpful and caring hosts I've met in years. The pictures represent the property perfectly. The owners were incredible. 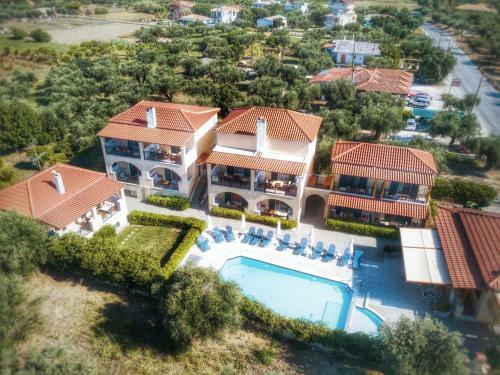 Not only the location of the villas is conveniently between Kalamaki and Zakynthos town, the people that own the complex are very friendly, helpful and well informed about the island. I couldn't say enough good things to describe my stay. It's an experience you would never have with a regular hotel. If you like a quiet place to stay, this is the place for you. Nothing to dislike really, spacious room, clean and tidy. Good location, close to town where you can get everything set. Swimming pool is a plus and most important of all, the nicest hosts I have ever met! They have been so kind and helpful, they practically saved my otherwise destroyed holidays (luggage was left in Paris...). I definitely recommend this property. Wonderful hosts. Everything was just perfect. We had our room before the check in time with everything well arranged and clean. We also got guidance on Car hire to Beach or events to visit. Lovely the hospitality with even a ride to Nearest store and To the town. Definitely Booking again.. Extremely clean inside the apartment and the surrounding grounds. The hosts were very friendly and obliging. Great location in between Kalimaki and Zante town. Lovely property with relaxing vibes. Exceptional hosts who were friendly, knowledgeable and made everything that extra special with their recommendations. Thank you very much! Very very nice hosts. greeted us with a welcome drink and they were waiting for us so checkin was quick. Our room/apartment was comfy and spacious. the balcony was big and had a couch and comfy chairs. that was a very positive surprise. kitchen has all necessary items and a fridge. rooms are clean, and quiet. bed was very comfortable. Pool is quite big and has alot of sunchairs. The biggest plus for us was the host. We really enjoyed staying here and felt very welcomed. Like staying with friends. If you need any recommendations for restaurants, Nikos will help. 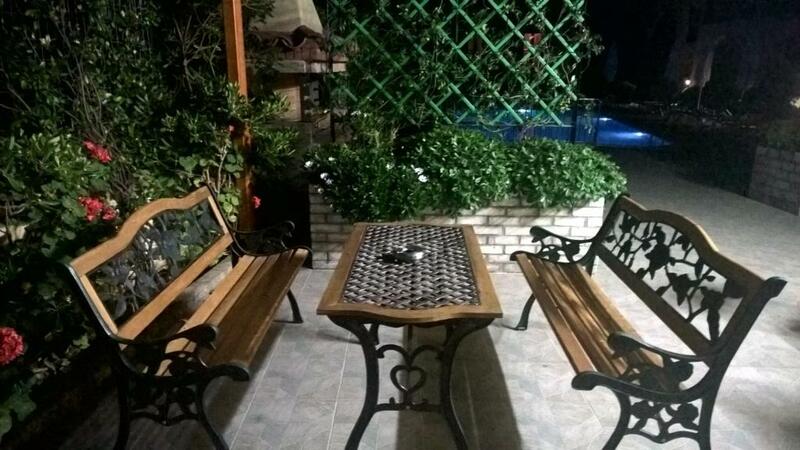 Very central location on the island, close to airport, town and beaches. Very warm welcome by the proprietors. Pool temperature perfect for kids to spend all day swimming. Lock in a great price for Muses Zante Villas – rated 9.6 by recent guests! Located 1.2 mi from Kalamaki beach in Zakynthos, Muses Zante Villas is a complex of self-catered split-level villas. 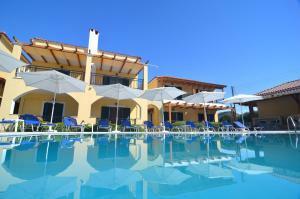 It features a seasonal outdoor swimming pool with sun loungers and umbrellas and free Wi-Fi throughout. Fitted with iron beds, these units are air conditioned throughout and offer furnished balconies with garden and pool views. They include an LCD TV, DVD player, fully equipped kitchen, and seating and dining area. Some also have a fireplace. The on-site snack bar serves various drinks and coffees and is open late. Free barbecue facilities are available. There is also a mini market conveniently located within the hotel. Muses Zante Villas is located 1.4 mi from the center of Kalamaki and 2.5 mi from the lively town of Laganas. 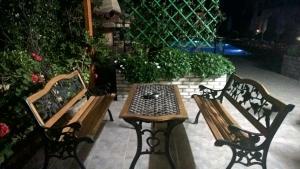 It is located 1.6 mi from Zakynthos Airport, Zakynthos port and Zakynthos city center. Free private parking is accessible on site. 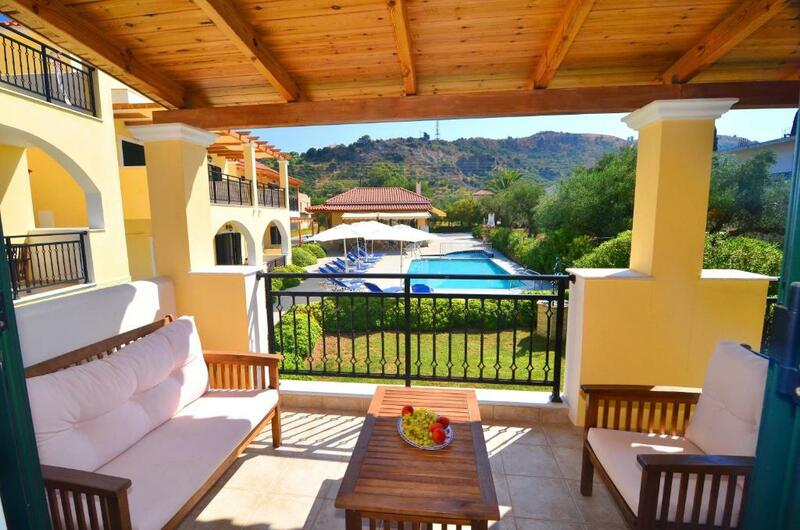 When would you like to stay at Muses Zante Villas? Featuring a balcony with pool and garden views, and a terrace, this air-conditioned unit has well-equipped kitchenette and a bathroom with shower on the ground floor, and a double bedroom on the upper floor. Please note that apartments on one-level are also possible upon availability. Featuring furnished balconies with pool and garden views, this spacious air-conditioned unit has an additional toilet on the ground floor and a bathroom with shower on the upper floor. Includes a well-equipped kitchen and living room. It is fitted with a double bed in the bedroom and a double folding bed or two single beds on the ground floor. It can accommodate up to 4 adults or 2 adults and 3 children (see Hotel Policies). House Rules Muses Zante Villas takes special requests – add in the next step! 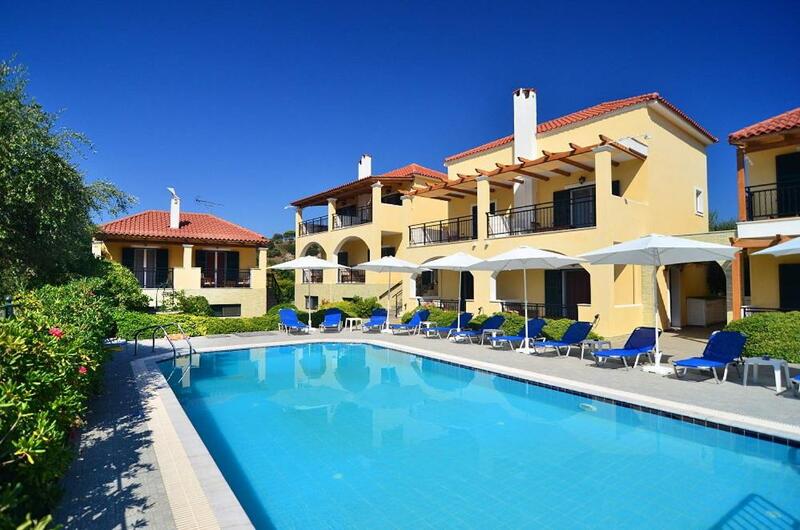 Muses Zante Villas accepts these cards and reserves the right to temporarily hold an amount prior to arrival. Please inform Muses Zante Villas of your expected arrival time in advance. You can use the Special Requests box when booking, or contact the property directly using the contact details in your confirmation. No downsides at all, everything was perfect. We liked everything, couldn't fault it. The villa had everything you needed and were kept very clean. The owners and their son Nikos were so helpful and friendly, they gave us lots of recommendations and lifts down to the Kalamaki strip as it was just a bit too far to walk. They made our anniversary trip very special. Would definitely recommend and hopefully will return soon. location is right next to the street. It's only noisy during the main season and because of the quad bikes. you dont hear that unless you are sitting next to it. they have plenty of seating area away from the street. no noise in the house, very good isolation. This did not bother us at all but as this is a review it would be unfair not to mention that the road at the front can be busy and noisy. 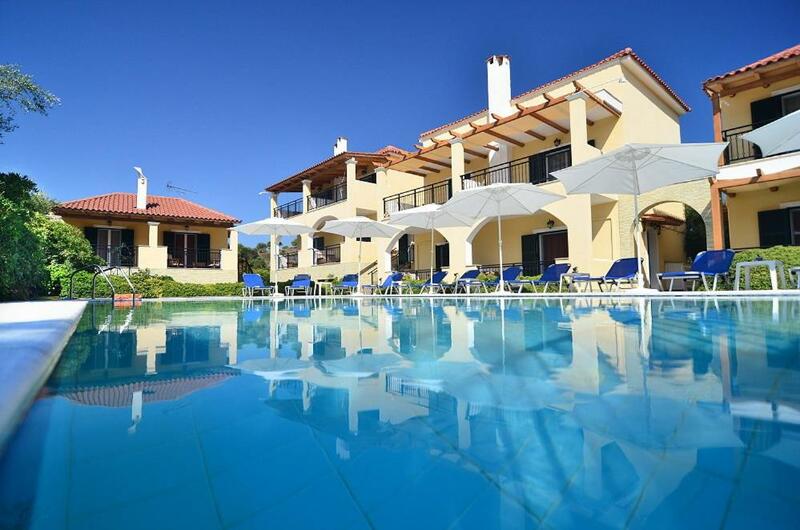 We loved our stay here, Christina and Thanassis were the perfect hosts and nothing was too much trouble, the property is in an excellent location, close to shops and restaurants. The accommodation was spotless but it is the family that make the stay special.